While some of the world’s best female golfers faced tough conditions during the recent McKayson NZ Women’s Golf Open in Auckland, New Zealand selector, Lisa Herbert was hard at work behind the scenes co-ordinating a large team of volunteers. HELEN PERRY talked to her about the event and Lisa’s own golf career. Golf enthusiasts turned out in their thousands to see some of the superheroes of women’s golf playing at Windross Farm, Ardmore in late September but few would have realised that on the sidelines, was arguably one of New Zealand best amateur female golfers. Twice crowned World Left Handed Women’s Golf Champion in her younger playing days, Lisa still ranks highly among the world’s leading lefty female golfers and is well regarded in all levels of amateur golf. Last year, she led the Auckland team to victory in the New Zealand Women’s Masters Championship claiming the coveted Russell Grace Cup although this year the team had to settle for third. On the other hand, Lisa missed the Canterbury Shield challenge (individual honours) at the same tournament by just one shot. But there was no time to dwell on those loses; the McKayson event loomed. Lisa acknowledges that the tournament and, in particular, Kiwi professional, Lydia Ko’s part in encouraging some of the top female players to come to New Zealand, has been a big boost for women’s golf in this country. “It’s always hard for our women to experience that kind of competition; mostly they have to go to Australia to be tested against top players. So you can imagine how excited everyone was [about the McKayson]. “On the first day I think the organisers were totally unprepared for the masses that came out to watch; it was phenomenal. Some spectators were surprised at how exposed the course was but it can’t have much in the way of trees because of the Ardmore airfield being nearby. In addition to her co-ordinator’s role Lisa also helped out in the merchandise shop and had an opportunity to meet chairman of the naming sponsor, (global apparel brand McKayson), Min Cheol (M.C.) Kim. I ask is it worth it for the players to come to these far reaches. Lisa diplomatically replies: “I think it would improve the number of top players attending if the tournament was scheduled around the same time as the Australian Women’s Open in January/February. Players would be more likely to head south if they could play back to back tournaments. As for Lisa, it’s unlikely she will be involved if the McKayson remains in Auckland. After 14 years here, she and her family are heading to greener courses in Palmerston North. While having played for Manawatu-Whanganui in the past Lisa says she grew up on the Kapiti Coast. However, sticking with amateur golf didn’t stop this natural from proving she had what it takes to sink putts and she clearly remembers the thrill of being part of the winning Queen Sirikit Cup team when the Asia Pacific teams championship was held at Paraparaumu in 1999. 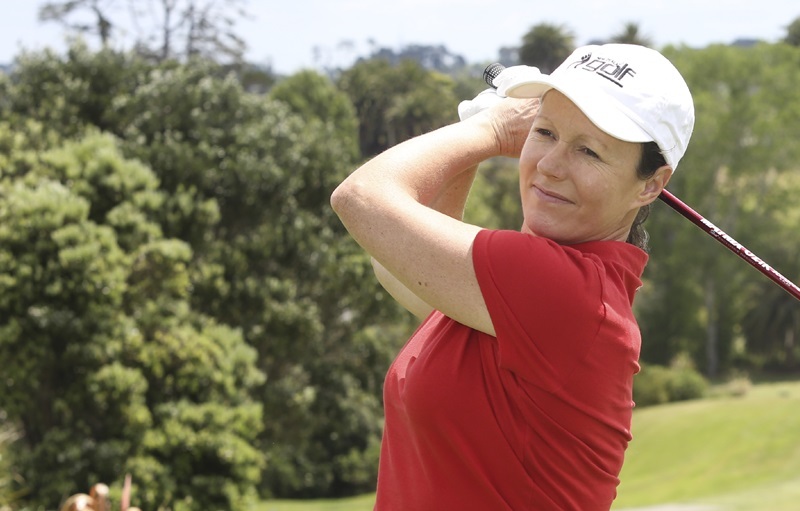 Since becoming age qualified to play in the New Zealand Masters, Lisa has been part of the Auckland team on three occasions and was also delighted to lead the team’s win last year. Lisa laughs and says it depends on the course. “Paraparaumu is my favourite but I can struggle on others including Pukekohe, lovely as it is. While content to play when and if she can, Lisah admits with the likes of Lydia Ko and also former Pakuranga player, Cecelia Cho, who now plays the Korean LPGA circuit, there is a great deal more interest in women’s golf although pay parity with men seems a long way off. Despite being encouraged by the growing interest, Lisa says, “I’m a bit old fashioned when it comes to grooming young talent. I’ve seen some very young players doing little else but practice, practice, practice. I believe life should be more balanced at that age with time taken to just be a teenager. And, with that, it seems Auckland’s loss will be Palmerston North’s gain as Lisa says she is committed to giving something back to the game and the organisation that has done so much for her during her career. NOTE: As Rural Living went to print it was announced that the LPGA had decided to postpone next year’s New Zealand Women’s Golf Open until early in 2019. It seems it will now be played at a time when more settled weather can be expected and also closer to the Australian Women’s Open. A few months ago only a select few had heard of Windross Farm Golf Course. Thanks to local golf superstar, Lydia Ko, the south Auckland club received international recognition when it recently hosted the McKayson New Zealand Women’s Open. ANGELA KEMP discovers how it went from farmland to world class sporting venue. In 2012, the majority of Manukau Golf Club members voted for the club to move from its original Takinini site, seven minutes down the road to its new 60 ha location at Windross Farm after a $40 million land swap deal with Fletcher Residential had been negotiated. 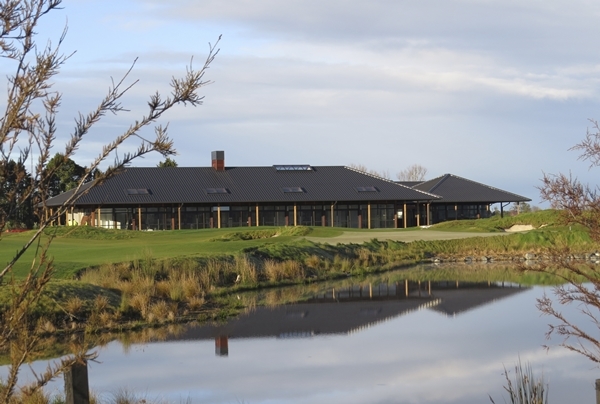 This enabled the club, founded in 1932 and one of Auckland’s oldest, to build an architecturally significant championship course, full practice facilities and a modern clubhouse. Windross Farm opened with a bang in September when New Zealand Golf announced the Women’s Open was to become an annual fixture on the LPGA Tour and would be hosted for the next three competitions by Windross. It was the biggest announcement in the sport in New Zealand since Tiger Woods played the national men’s open in 2002. The field at the opening round of this year’s event has been described as attracting the largest ever opening day crowd in LPGA history with an average of 5000 spectators on each day of the competition. Windross general manager, Antonie Els, says he expected the crowds but was blown away by their enthusiasm. The Women’s Open is seen as a stronger event than the men’s open largely due to Ko’s attendance. For the past four years it has been at Clearwater in Christchurch with Ko winning three times. Although, this year, she lost out to Canadian Brooke Henderson on her home turf, her delight at being able to compete locally was clear for all to see. Overall, Els says he was pleased at the way the first LPGA Open went (weather excepted) and was looking forward to planning the next event. Open aside, he sees a solid, sustainable future for the club not least thanks to its unique course designed by Brett Thomson (The Hills, Clearwater, Jack’s Point) and Phil Tataurangi. Located on former arable and dairy farmland, half a million tons of clay was used to create shape and contour to provide a links style course more commonly seen at the coast. Windross is attracting a lot of interest from Australian golfers and Els says management is hoping to tap into the overflowing Queenstown market. “We see ourselves as a hybrid model. We will always have members as the core to our club, they are its lifeblood. But we also recognise there is a role for us to play in driving tourism to Auckland which is why we are not just a members’ facility. “Our café is open to the public and we have lots of people joining us for lunch, even a ladies book club. We are unique and different and want to be the market leaders in the way we operate the club, not just for golf but for hosting events, an area we intend to grow.